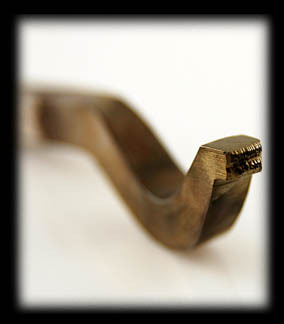 Silver Stamps are made to stamp designs in Silver when making Silver Jewelry. Silver Stamps have been used for hundreds of years, in the past a Silversmith would hand file a design in a piece of steel and then temper it so it became hard and could be used to stamp a design in Silver. Today, there are professional stamp makers that machine Silver Stamps and Hallmark Stamps for the trade. 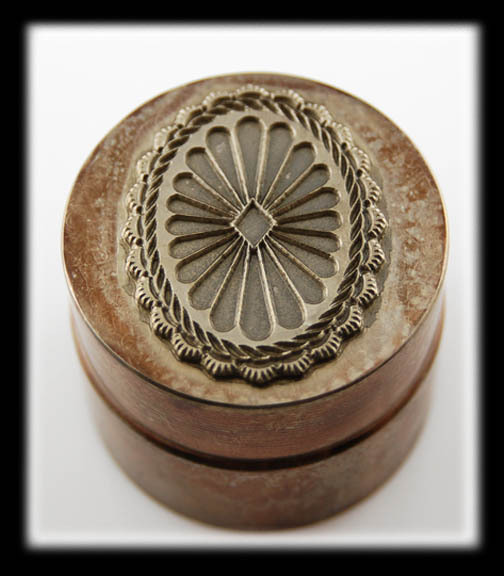 Above is a Silver Stamp that was made to be used to stamp a Silver Concho such as one you would see in a Navajo Concho Belt. Above and to the left is one of our Silver Hallmarks that we use to stamp "Dillon .925 USA" on the back side of a piece of Silver Jewelry that is made by Dillon. All types of Silver Hallmarks can be custom made to say anything you wish and once a Hallmark stamp is made it will usually last forever. 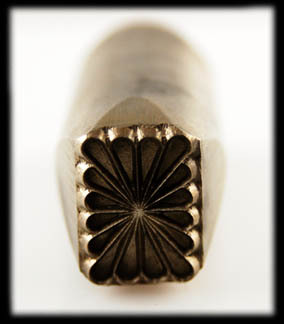 To the right is a inside ring Silver Stamp that is used to stamp a Hallmark inside a Silver Ring once it is made. 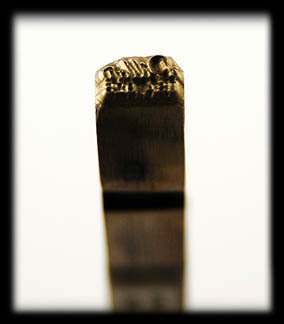 Jewelers often stamp their makers mark or hallmark in their Silver Ring once it is completed. A Silver Jewelry Stamp Maker is the best way to have your Silver Stamps made to create professional quality Silver Jewelry. We recomend Ron Harris of Signiture Concepts, we have used Ron for many years to make many of the Silver Stamps we use in making our Silver Jewelry as well as to stamp our hallmarks in the Jewelry that we make. You can read more about Silver Stamps and order your own Silver Hallmark Stamps by going to the Signature Concepts Stamp Maker Website. We hope you liked this informational presentation on Silver Stamps and have gained some useful knowledge from it. We invite you to learn more about Native American Jewelry and Sterling Silver Jewelry by following the links in our Learning Center to other informational pages that we have written on different topics related to Silver Silver Stamps. In addition, we would like to invite you to join our E-Mail Newsletter - about once every other month we send out a Newsletter to inform our members of what's happening with Durango Silver Company, new products, specials for our members and more. We also have a monthly drawing from our member base to give away free Silver Jewelry from our company. Please take a moment to become one of our friends by signing in below.